Even as Australian salvagers struggle to stop a Chinese ship from spilling hundreds of tons of oil onto the Great Barrier Reef, scientists are working on another Reef relief angle—reducing livestock belches and farts. Dr. Tony Parker, from James Cook University, says his “reef and beef” study examines whether feeding cows seaweed would reduce their flatulent carbon emissions, in a move that could help save the Great Barrier Reef. He said cattle produced up to 20 per cent of global man-made methane emissions, and the problem was largely linked to their diet. “Orkney sheep are ruminants that live off seaweed and they do very well on such a diet; so the obvious question is, why can’t cows?” said Parker in a press release from the university. The Inter-governmental Panel on Climate Change (IPCC) calculates that methane makes up 14.3% of human contribution to global warming, and data from the National Oceanographic and Atmospheric Administration (NOAA) in the U.S. shows that atmospheric methane levels may be rising again after a 10-year period of stability. Cattle production of methane is caused by the microflora in their gut that helps them to digest their food. As these microbes break down the grass’ cellulose, methane is produced as a by-product, the majority of which is burped out the north end, or dispensed out the south end, so to speak. Methane gas from livestock accounts for about 12 per cent of Australia’s annual greenhouse emissions, with flatulence from 120 million sheep, cows and goats comprising its third-largest source of damaging gases. Greenhouse emissions are believed to be partly responsible for rising water temperatures that have caused “coral bleaching,” leading to the death of corals. 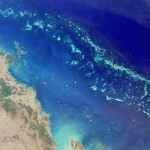 The Great Barrier Reef is the world’s largest organism, and is the only living organism that can be seen from space. According to the Great Barrier Reef Marine Authority, a particularly severe, worldwide bleaching event occurred in 1998, effectively destroying 16 per cent of the world’s reefs. 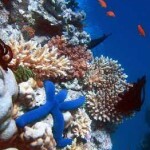 The Great Barrier Reef was affected by this global bleaching event and by another event in 2002. More localized bleaching occurred in the southern Great Barrier Reef in 2006. 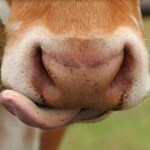 How much methane is produced by livestock? Are Australian cattle fed grass or corn as here in the states? 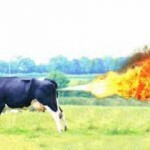 How does the methane profile change with grass fed v corn fed cattle? Great piece. Funny, I had assumed most coastal ranchers used kelp for cattle fodder. Some of the pinto-patterned descendants, introduced to the island by Russians, slurp kelp on the beach just as their bovine kin did in the 1700s. However, most of the 5,000 head wandering these Aleutian Fox Islands today were planted by present day ranchers who failed to turn a profit in the 1960s.